TitleTownTech, a soon-to-be-launched joint venture between the NFL’s Green Bay Packers and tech giant Microsoft, has hit the brakes on a startup accelerator the two organizations had previously said they planned to run together. Craig Dickman, whom the Packers named managing director of TitleTownTech earlier this week, says the goal of the joint venture—spurring digital-age economic activity in northeastern Wisconsin and beyond—has not changed since the project was announced last October. (“Titletown” is a nickname for Green Bay, recognizing the 13 league championships the Packers have won over the years.) 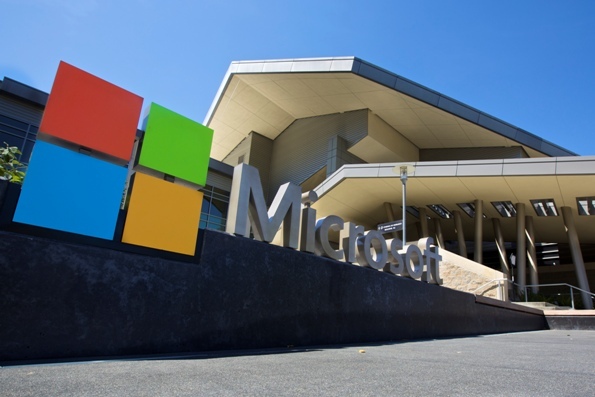 Notably, there are still plans to raise a small venture capital fund backed by the Packers, Microsoft (NASDAQ: MSFT), and potentially other investors, Dickman says. However, he says the groups behind TitleTownTech have made changes to the project’s components over the past 11 months. One of the most significant changes was scrapping a plan to have TitleTownTech run an 18-week accelerator program that would make equity investments in early-stage companies. The joint venture plans to occupy 11,000 square feet in a building next to the Packers’ Lambeau Field that’s still under construction. The team said this week it expects to open the building in early 2019, an event that will mark the launch of TitleTownTech. The most popular accelerator model, which organizations like Y Combinator and Techstars have used for years, involves having groups of entrepreneurs spend several months living and working in the accelerator’s host city. During that time, participating startups get help from the accelerator’s staff and corporate network with things like growing sales. The companies usually receive small amounts of guaranteed venture capital and the chance to pitch to a room of investors at the end of the program. Dickman says that rather than having groups of startups move to Green Bay every few months, project leaders will invite companies to come to TitleTownTech and work with its staff to develop their products and services. Some startups will only spend a few days at the new space, while others might be invited to work with the TitleTownTech staff and the group’s network over a longer period. Microsoft plans to have one of its employees serve as a “technologist-in-residence” at TitleTownTech, the Packers said, and the University of Wisconsin-Green Bay plans to provide an entrepreneur-in-residence. The space will also host visiting fellows with expertise in certain subject areas, Dickman says. “I would anticipate that when the facility opens, it will be a combination of our team, the extended in-residence staff, as well as hopefully a few early-stage companies working alongside us,” he says. Startups that TitleTownTech invites to work from its offices would not have to pay to lease space in the facility, Dickman says. “It’s not a real estate play,” he says. It’s also possible that large corporations could have small teams of software developers, engineers, and other innovation-focused employees work from TitleTownTech. Some of the startups that will set up shop at TitleTownTech are likely to be ones that the Packers, Microsoft, and other investors have backed through a new venture fund, Dickman says. The fund is one of three pillars of TitleTownTech, along with an “innovation lab” (for exploring new ideas) and a “venture studio” (for turning ideas and prototypes into commercial products).